Free servicing for Nissan GT-R | What Car? Buyers of a new Nissan GT-R can now have it serviced for nothing. 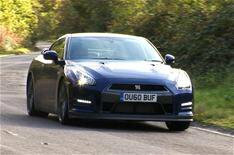 The offer is available to those buying a GT-R through Nissan's 'Preferences' personal contract plan (PCP), and it covers the first three years or 27,000 miles of the car's life. It includes any parts, labour, fluids or oil needed to carry out the GT-R's routine maintenance, at any of Nissan's 19 High Performance Centres. RAC breakdown cover is also included, so if your GT-R does have a mechanical misdemeanour before its third birthday, you won't be stuck. If you already have a 2011 model-year GT-R - or if you pay for it another way you can also buy the package for 499.